Innoson Nigeria Limited and its owner, Chief Innocent Chukwuma (OFR), have filed a fresh lawsuit against Guaranty Trust Bank (GTB) PLC in the High Court of Federal Capital Territory, Abuja. 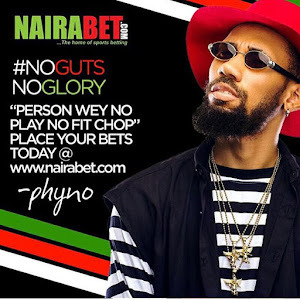 The automaker is claiming a total sum of N400b as damages for injury to their reputation, moral character, credibility, office, vocation and trade. According to a source, Innoson is also seeking an order of perpetual injunction restraining GT Bank from further defaming them. The lawsuit which was filed by Innoson CEO’s counsel, Prof Joseph N Mbadugha Esq, is a sequel to a recent decision by the Supreme Court of Nigeria in favour of Innoson Nigeria Ltd. in Appeal No: SC/694/2014 between GTB v. Innoson Nig Ltd., where the Supreme Court dismissed GT Bank’s Application. 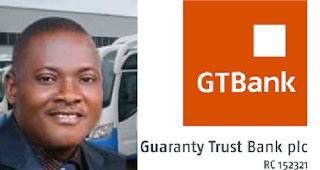 The source said the automaker has won various lawsuits against GT Bank, adding that on July 29, 2011, the Federal High Court, Ibadan Division, through a garnishee order, asked GT Bank to pay the sum of N2,048,737,443.6K to Innoson Nigeria Ltd.
GTBank, however, appealed against the judgment to the Court of Appeal, Ibadan Division. Also, in a unanimous judgment, delivered on February 6, 2014, the Court of Appeal dismissed the appeal and affirmed the judgment asking GT Bank to pay the said sum of N2, 048,737,443. In protest, GTBank appealed to the Supreme Court on 11 Grounds and subsequently sought to amend its notice of appeal- to adduce fresh evidence showing that Innoson Nigeria Ltd obtained the judgment of the Court of Appeal by fraud and fraudulent suppression of material facts. According to a statement issued by the automaker, “GT Bank had through its motion on notice in Appeal No: SC/694/2014 dated the 22nd of January 2016 and filed at the Supreme Court on the 5th of February 2016, with a 15 paragraph affidavit in support averred that Innoson Nigeria Ltd obtained the Court of Appeal Judgment against GT Bank in Appeal No CA/I/258/2011 by fraud. “Similarly, at paragraphs 9 and 10 of the affidavit in support of the said motion on notice deposed to by Sarah Ugamah on behalf of GT Bank, GT Bank said that Innoson Nigeria Ltd fraudulently suppressed that it was paid the sum of N1, 406,515,845.98 (One Billion, Four Hundred and Six Million, Five Hundred and Fifteen Thousand, Eight Hundred and Forty-Five naira, Ninety-Eight Kobo) in liquidation of the judgment debt. “However in a unanimous decision, on 12th May 2017, the Supreme Court dismissed the GT Bank’s said motion on notice; and while dismissing the motion, Supreme Court stated, inter alia, that GT Bank engaged in double speaking and in a frivolous frolic in bringing the application. Innoson sources also explained that 22% interest on the said sums of money claimed above commencing on January 22, 2016, till the date of the judgment and thereafter at the same rate of 22% interest until the satisfaction of the judgment debt. According to CNN, Innoson Vehicle Manufacturing (IVM) recently partnered with the Nigerian Air Force (NAF) to provide spare parts for NAF’s fighter jets.